From its inception, Aurora Organic Dairy has always been forward thinking. After converting their first dairy farm from a conventional dairy operation to an organic dairy farm in 2003, Aurora Organic Dairy started laying the foundation for growth and innovation within the industry. Well before the expansive growth started taking shape Aurora Organic Dairy was ahead of the curve, setting up their own organic dairy production facility in Platteville Colorado, just outside of the Boulder area. As the years passed and the demand for organic milk increased, Aurora Organic continued to grow. This growth was not by accident. The company was built forward thinking, always planning on expanding and using whatever tools available to continue to bring their products to more and more consumers. The management staff, led by their founder Marc Peperzak, has had a keen eye on how they can use innovative means to leverage their unique supply chain to enhance their value proposition to their customers. This included everything from increasing their number of organic farms, purchasing land to grow their own organic feed, and investing in their plant capacity. Aurora Organic recently undertook a project at their processing facility building a large cold storage warehouse capable of taking them out on the cutting edge of technology. This new addition to the facility gave them the ability to store their products onsite, which had been done previously with a separate company, making inventory tracking and shipping that much more difficult. By eliminating the offsite warehouse and having better visibility over their inventory levels, Aurora Organic Dairy gained better traceability and accountability of its product within its supply chain. Their staff did not stop there however. The project was done in conjunction with a top of the line inventory tracking system. Aurora Organic Dairy recently went live with an automated warehousing system, allowing them to further automate their inventory control. In conjunction with DSI’s Dairy & Food Tracker™ software system, Aurora Organic Dairy has streamlined the process of making products, storing inventory, and filling orders in a whole new way. As product comes off of the production line, it is palletized and barcoded. This barcode tracks the production information related to the pallet including lot numbers, sequence numbers, unit codes, and other identifiers. This information is recorded into DSI’s system and then moved into the storage warehouse by the automated inventory control system. This exchange is confirmed by DSI and the pallet is moved into the warehouse until it is needed for shipping. As orders are processed in Dairy & Food Tracker™, orders are relayed to the automated inventory control system, signifying a pending order and the first step in fulfillment. When the truck arrives at the plant, A.O.D. staff initiates an open truck through the Dairy & Food Tracker™ system and order information is sent to both the automated inventory control system, and to DSI’s barcode guns to notify the shipping staff that a truck needs to be loaded. Pallets are brought down from the warehouse to the shipping staff, which completes the loading of the truck, using the barcodes to move the pallets from inventory to the truck. Once the truck loading process has been completed, the truck closing process is initiated from DSI’s barcode guns, closing the truck and initiating all of the shipping paperwork to print at the dock and the truck is ready to leave the plant for delivery. The combination of DSI’s Dairy & Food Tracker™ software program with the automated inventory system has been a major success for Aurora Organic Dairy. 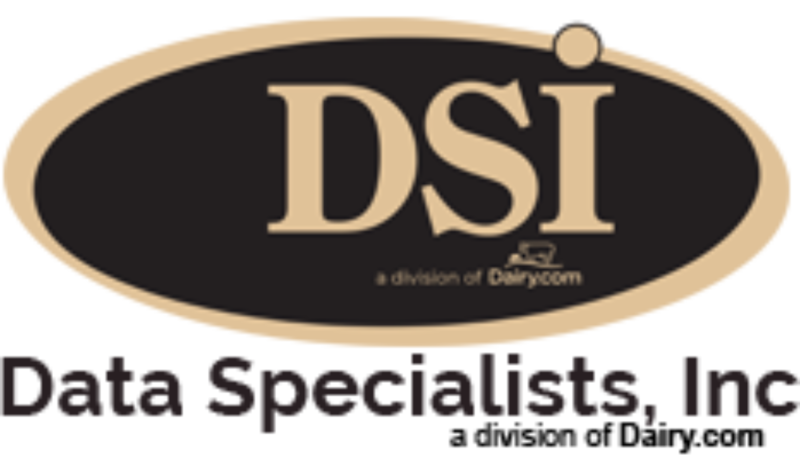 For more information on DSI’s Dairy & Food Tracker™ ERP software or how DSI might help streamline your plants operation, contact Thomas Filak at 262-723-5726.